Our professional instructors and our twin-engine plane Turbolet L-410 will ensure your maximum safety during the flight and skydiving. 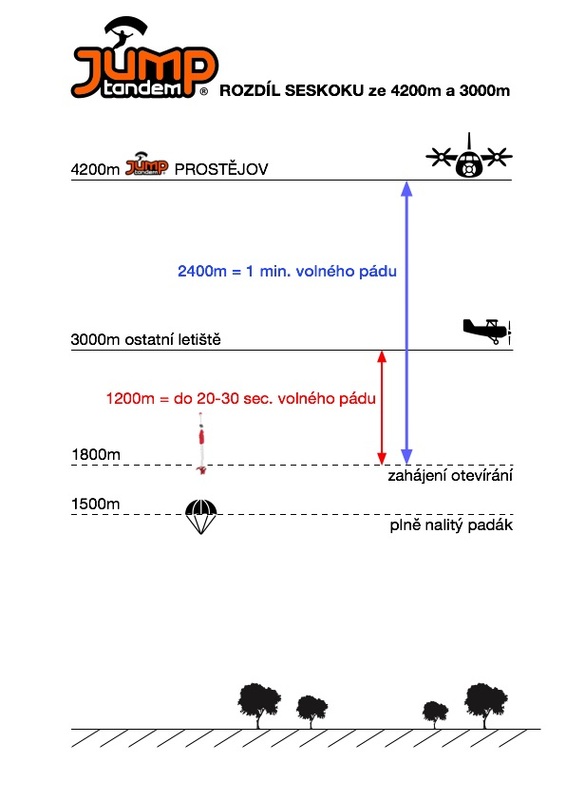 We use new parachute systems for tandem skydiving with safety computing machine CYPRES. We are the only company in the Czech Republic that owns an airplane with the capacity for bigger groups; with us, you are always a priority. We offer group and individual tandem jumps and we have the highest skydiving rate in the Czech Republic – more than 20,000 jumps in 2017. During 22 years we had more than 150,000 safe tandem jumps and other skydives. We have become a highly regarded European centre offering tandem skydiving , skydiving courses as well as professional and competition skydiving as Europeans and World Parachuting Championships. Our group and individual tandem jumps, courses and experienced skydives are run from the maximum permitted altitude of 4,200 metres. We have a safety certificate issued by the Ministry of Transportation – “Training centre with specialization in tandem skydiving and parachute AFF courses”. Our drozpone has an open friendly environment thanks to which you’ll immediately feel like home; we offer exclusive personal approach. You are special to us – we look after your satisfaction and comfort from your arrival until the tandem skydive, on the plane during the ascent, tandem jump itself and after you land. 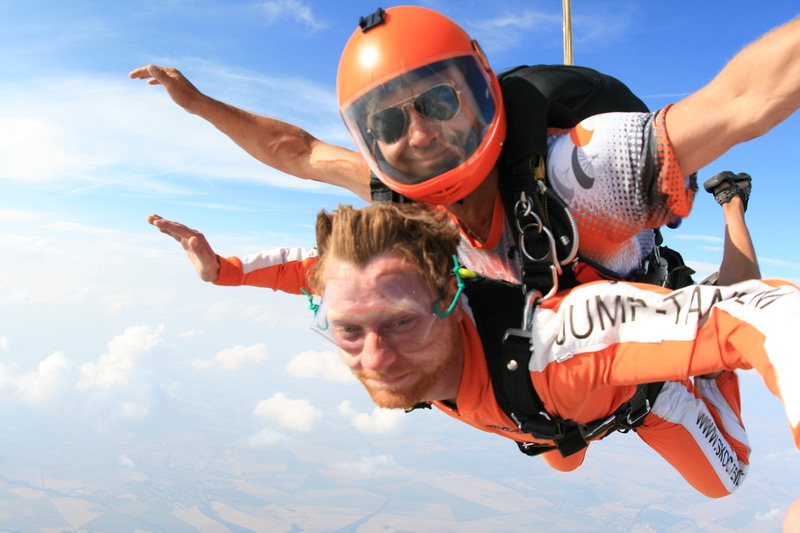 We are the only company offering tandem skydiving with an actual online booking system which you can use to book your tandem jump. There will be no waiting for your tandem jump. Clients who booked tandem skydiving are always a priority at our Dropzone Prostějov. Do you want to be more efficient and full of energy? Come and visit us, push your boundaries and try tandem skydiving – you will end up so full of energy that you could actually pass it on to others! Do you wish to spend the weekend in an unusual way, full of adrenalin and fun? Our evening party will certainly enhance the experience of your tandem jump. landing, and happiness after landing. The movie of your tandem jump has original sound and music. We can also offer you special dynamic footage from an extra skydiving camera. You will get the exact same if you choose photographs. Those are taken with a professional still camera of up to 20MP. 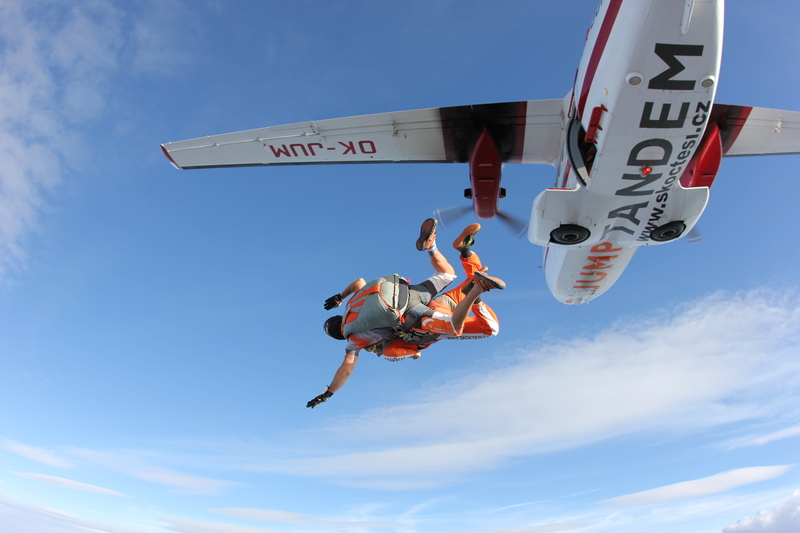 Every company offering tandem skydiving is obliged to have a certificate of training parachuting centre that specifically says “offering tandem skydiving”. All certificates of our company JUMP-TANDEM can be found in the category “JUMP-TANDEM licenses”. When you are deciding which company to use, always ask for these certificates. In this way, you will support the safety of skydiving. Do not hesitate to contact us for more information or special customized offer. We will do our best to accommodate your needs.